Length of the mala : 20 inches (When mala is in U Form) // 40 inches (Length of the mala from Ist till 109th bead) . 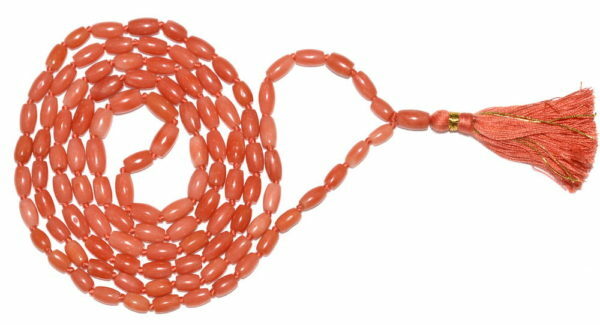 Design : Coral Mala made of real coral beads (untreated and undyed) in strong thread with traditional knots between the beads. Coral Mala is made using natural coral gemstones in thread and silver/gold. It is associated with Mangal planet and is a favourite of devotees of Lord Hanuman and Ganesh. A Coral Mala can be used for both Japa and wearing purpose. 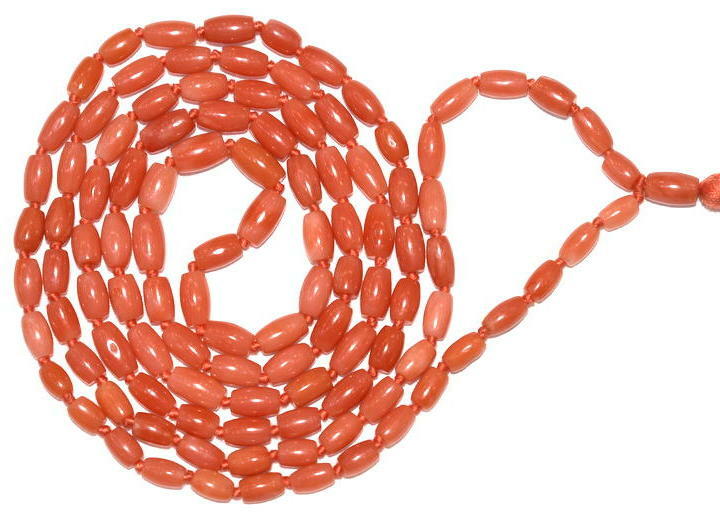 Coral Mala is generally recommended to devotees having a weak Planet Mars / Mangal in their horoscope . The coral gemstone blesses the user with good health , strength , stability and support . It also blesses with courage , confidence , preseverance and the strength to overcome odds and achieve success . Used during sadhana or worship or Japa of Lord Ganesh, Hanuman, Lakshmi and Mars planetary mantras. Worn for good health and for therapy of people who are prone to anaemic condition. It is also gives relief in indigestion and fever. It gives many virtues like courage, perseverance, capability to face and solve problems and enables a man to take risks. It also harmonizes relationship in marital life.